As Super Bowl Sunday approaches, I’m thinking about beer. I don’t drink beer all that often, but during the Super Bowl, who wants to be sipping wine or cocktails? Sudsy brews are de rigueur. And so I’ve given some thought to which beers and beer styles might be best suited for classic Super Bowl fare such as nachos, Buffalo wings, chili con carne, bratwurst and such. Let’s begin with that all-time classic Super Bowl nosh, Buffalo chicken wings. When you’re thinking about what to drink with wings, I’d start by forgetting that you’re eating chicken. After all, it’s the sauce that dominates, right? So, here are a couple pointers. If you’re serving wings with scorching hot sauce, I recommend an India Pale Ale such as full-strength Squatters Hop Rising Double IPA, Red Rock’s Elephino Double IPA or Uinta Brewing’s Hop Notch IPA. The hops and citrusy bitterness of an IPA help cleanse the palate and tone down the heat of foods like Buffalo chicken wings and jalapeño poppers. For wings with a milder sauce, try a good Bohemian-style Pilsner such as Bohemian Brewery’s Czech Pilsner, which is crisp, light and comes in cans. My go-to food for most Super Bowl games is chili con carne; I like to make a big batch to feed a big bunch. I find that an Irish Stout like Guinness is light enough to not weigh you down while you’re eating meaty chili, but strong enough to stand up to its bold, spicy flavors. As a bonus, the Stout helps draw out the smoky flavors in chili con carne. Other good options include picking up a growler of Desert Edge Brewery’s Latter Day Stout or Madame X Stout from Hoppers Grill & Brewing Co.
Chicago Bears coach Mike Ditka once said that the perfect seven-course meal is a hot dog and a six-pack. Well, for mild-tasting grilled sausages such as bratwurst, kielbasa and weisswurst, I recommend a beer that won’t overwhelm the weenies. The Germans get it right, I think, by serving oceans of MÃ¤rzen beer during Oktoberfest. Ayinger Oktoberfest MÃ¤rzen does the trick, as does Gordon Biersch MÃ¤rzen and Spaten Oktoberfest Ur-MÃ¤rzen. 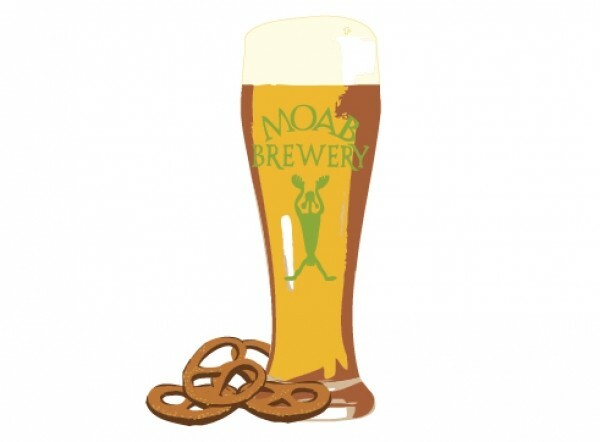 You could also turn your sausages toward Vienna-style lagers like Bohemian’s Viennese Lager, Squatters’ Vienna Lager or Rocket Bike Lager from Moab Brewery. Even Negra Modelo from Mexico—a south-of-the-border Vienna lager—would taste terrific with brats from the grill. Next up: nachos. A typical plate of nachos is a circus of colors and flavors, from mild cheddar cheese and crispy tortilla chips, to spicy jalapeños, cooked ground beef, onion, salsa and/or pico de gallo, not to mention sour cream. The idea here is not to complicate an already complicated spectrum of flavors with an overly complex brew. I’d suggest a clean-tasting Blonde Ale or KÃ¶lsch. A good choice would be Red Rock’s Golden Halo Blonde Ale or my favorite locally brewed Blonde Ale, Uinta Brewing’s Monkshine Belgian Style Blonde Ale. At Squatters, the Nitro Cream Ale is also excellent. Desert Edge has a seasonal Stupid Blonde Ale, and from Wasatch Brewing, try the Kolob KÃ¶lsch. Finally, for classic Super Bowl and tailgating fare like burgers and grilled steaks, you’ll want a rich-tasting dark beer like Porter, German Dunkel or Brown Ale—something to sip that isn’t overwhelmed by the grilled meat flavors. Here, I’d opt for Epic Brewing’s Galloway Porter, where coffee and malt flavors really shine. Wasatch’s classic Polygamy Porter is another good choice, as are Epic’s Santa Cruz Brown Ale, Squatters’ big, rich Outer Darkness or Ayinger Altbairisch Dunkel.